Classic cars are more than a safe place to “park” money; they really are better than gold. Annual figures for 2011, just released by the Historic Automobile Group International (HAGI), reveal that values in some segments of the classic car market have advanced by more than 20%. By contrast, gold, the traditional safe haven in times of economic uncertainty, returned growth of just 9.93% in 2011. That means if you’d bought the right classic car your investment would have more than doubled the performance of gold. Bentley R-type Continental Fastback by HJ.Mulliner, 1952-55 (208 produced): fine examples trading at £400,000 at the start of 2011 were commanding £500,000-plus by year end. BMW 507, 1956-59 (252 produced): £500,000 buys fine example at start 2011; now £750,000 for best cars. Mercedes-Benz 300SL Roadster, 1956-63 (1858 produced): cars trading at £350,000-375,000 at start 2011 now selling at £475,000-500,000-plus. Aston Martin DB5 saloon, 1963-65 (1063 produced): prices have advanced from £325,000 to £400,000-plus for fine examples. Jaguar XJ220, 1992-94 (281 produced): was £140,000; now £180,000-plus for best. In 2011 Hatlapa, a life-long classic car enthusiast, published a ground-breaking 350-page book, Better Than Gold: Investing in Historic Cars, a unique in-depth analysis and overview of the global classic market. For the first time Hatlapa quantified the capitalisation of the top sector of classic car market (cars worth more than £100,000) at £30 billion. In-depth historical research also revealed that this market sector, as measured by the HAGI Top Index, had increased by a factor of 30 in the 30 years from 1980 to 2010, returning a compound annual growth rate (CAGR) of more than 12.6%. Over the same period gold returned a CAGR of 2.17%. Dave Selby, 52, senior analyst at HAGI, gave examples of specific transactions which illustrate the growth that has been achieved in the classic car sector. “A 1939 Mercedes-Benz 540K Cabriolet-A bought in October, 2007 for £660,000 subsequently sold in December, 2011 for £848,500 [Coys], giving a return of 28%,” he revealed. Other examples cited by market watcher Selby are: George Harrison’s 1964 Aston Martin DB5 saloon, bought for £220,000 in October, 2007 and sold for £342,500 in December, 2011 (Coys); a return of 55% over four years. A 1955 Aston Martin DB2/4 drop-head coupe bought at auction in 2003 for £58,700 made £227,000 when it came under the hammer again in May, 2011 (Bonhams); a return of 287%. This same car had also traded in September, 2009 for £181,900; its £227,000 realisation in May, 2011 represents a 25% price advance in well under two years. However, while the figures are impressive Dietrich Hatlapa adds a note of caution: “Simply because a model, a marque, or indeed the overall market has performed well in the past, that does not mean it will continue to advance at the same rate in the future. Often there can be better opportunities among models that have perhaps underperformed and may therefore offer more up-side. HAGI has a policy of not making public forecasts of potential future performance for individual models or marques, although the group does undertake bespoke research projects for individual and institutional clients. Press contact: Dave Selby, tel: +44 (0)1621-854978; e-mail: dave@rollingassets.com. HAGI, Office 230, 56 Gloucester Road, London SW7 4UB. Historic Automobile Group International (HAGI) is an independent research house and think tank specialising in the rare classic motorcar sector. The group has created benchmarks which track this alternative asset class accurately for the first time, using rigorous financial methodology usually associated with more traditional investments. Monthly updates can be found at www.historicautogroup.com. The HAGI Top Index is published monthly by the Financial Times (FT.com/reports/wealth) and in the specialist press. For more see www.historicautogroup.com. 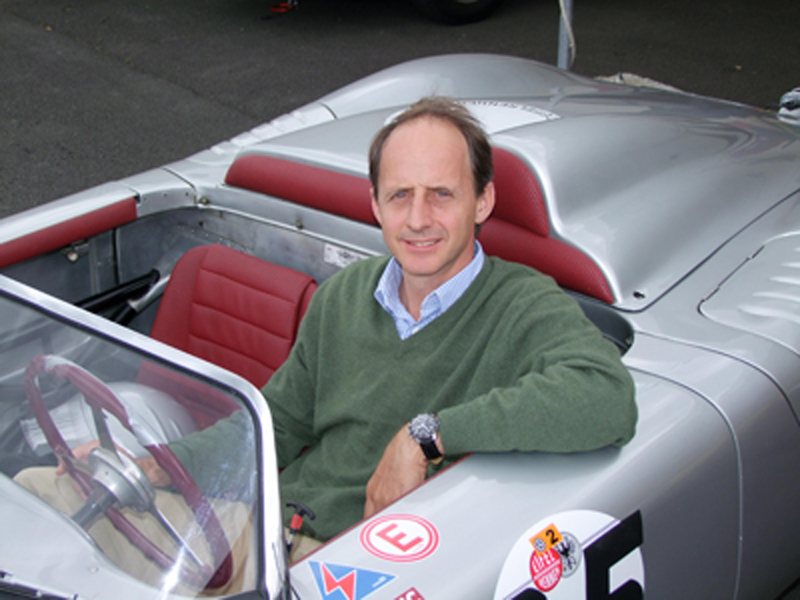 Dave Selby (52), senior analyst at HAGI, has been commentating on the classic car market for more than 20 years. He has written several books and has written widely on all aspects of the classic market in specialist publications and national newspapers. 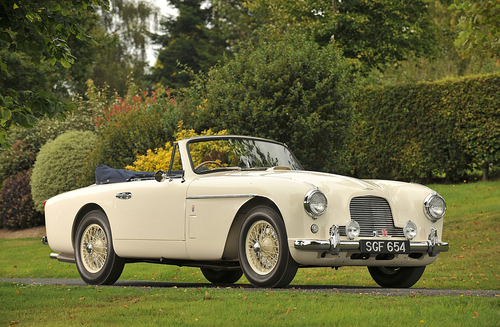 Dave also runs a classic car database detailing more than 70,000 precise individual transactions. This press release was distributed by ResponseSource Press Release Wire on behalf of Historic Automobile Group International in the following categories: Motoring, Personal Finance, Business & Finance, for more information visit https://pressreleasewire.responsesource.com/about.